To the casual moviegoer, there may not be much of a difference in Jason Voorhees’ appearance with each successive Friday the 13th movie. But to those of us who are more familiar with the franchise – or are just paying attention – you’re well aware that he’s adopted various looks over the years. Whether it be overalls or coveralls, or a knapsack or hockey mask, just about every diehard has a favorite iteration to call their own. Now, if you’ve ever had the privilege of meeting the most prolific actor to have played Jason, Kane Hodder, then you’re aware that he’s not opposed to doing specialized photo ops. 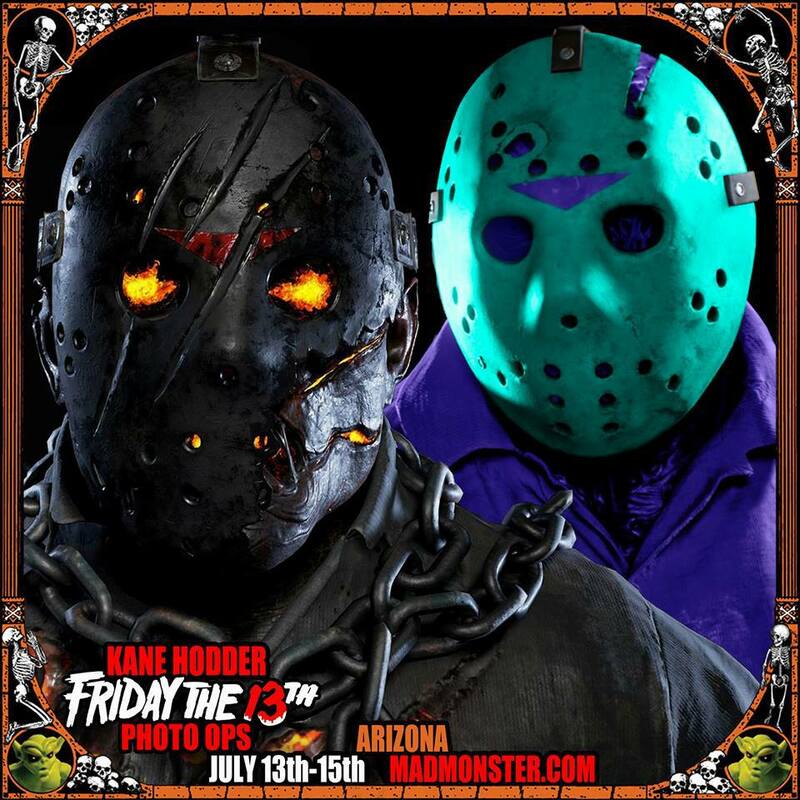 But what fans in the American southwest have in store for them will ensure that this summer will truly be one for the books because – get this – Hodder will be wearing two separate Jason masks for the first time! So, even if Hodder doesn’t get to star in another Friday the 13th film – something he actually hopes to do – it’s pretty great to know that he’ll be able to don two more masks, regardless. To be honest, I’m not sure which is cooler because while the one designed by Tom Savini is so different, the NES-themed one really appeals to me as someone who was a child during that era of gaming. Plus, it’s not often you see a grape-flavored serial killer. For more on Mad Monster Party, which takes place July 13-15, be sure to visit their official website.